One of the most visible things we do as a church is praise God together. Every Sunday we sing the truth about God and His relationship with us. Everyone comes to church with different distractions. We sing to try and pull each other back to the reality of God’s presence. Maybe the way we honestly sing will bring encouragement and healing to those around us. You are encouraged to listen to the songs you’ll hear at Brambleton Presbyterian Church. The more we all know the songs we’re singing the better we can engage the spirit of them and invite others to join us. Not long ago every church had a hymnal. Hymnals by design didn’t change often but enough to add songs every decade or so. 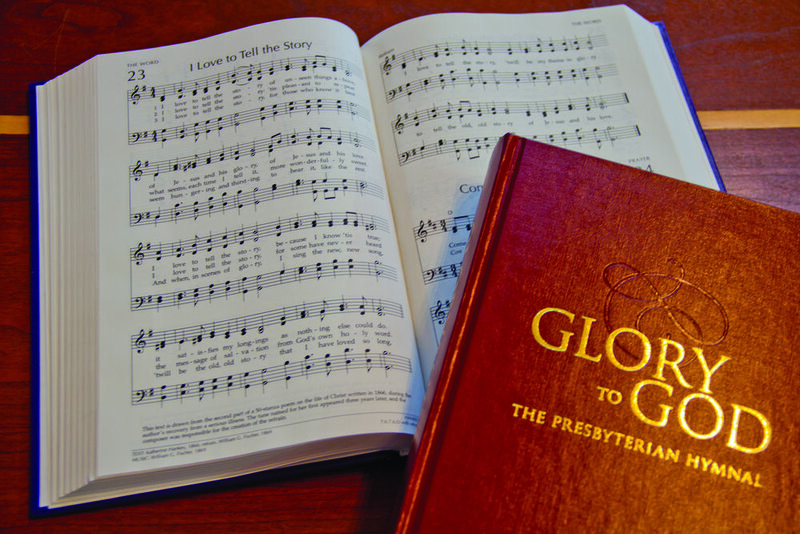 Attending the same denomination anywhere in the country we could rely on the hymnal being consistent. Worship music has become an industry. It brings us good and bad but here we’ll focus on the good. There are hundreds of songs that fit in worship services and lend themselves to congregational singing. The list of songs grows so fast that no printed hymnal could keep up. So we offer you a digital hymnal of sorts. It’s built on the Spotify app so you can listen on a computer anywhere for free. Many of us have the app on our phones with an account that lets us listen in the car as well. Here’s a Spotify play list that includes many songs that you’ll hear at Brambleton Presbyterian Church as we move forward. we hope you enjoy them. For more information please reach out using our contact page.